I knew for this files I wanted to make a Shadow Box Card. This is my first. I wanted the leaves to look as if she were really jumping up and down. I love how it turned out. What say you? 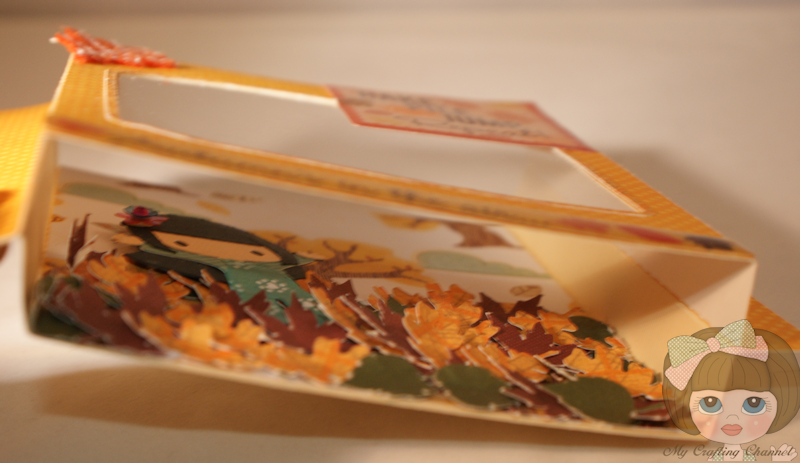 The little girl is just cute in that shadow box - great card....Aren't this type card fun to make? lol, what a really fun design Nana!! love this!!! It looks like she is jumping in the leaves, I love it!! 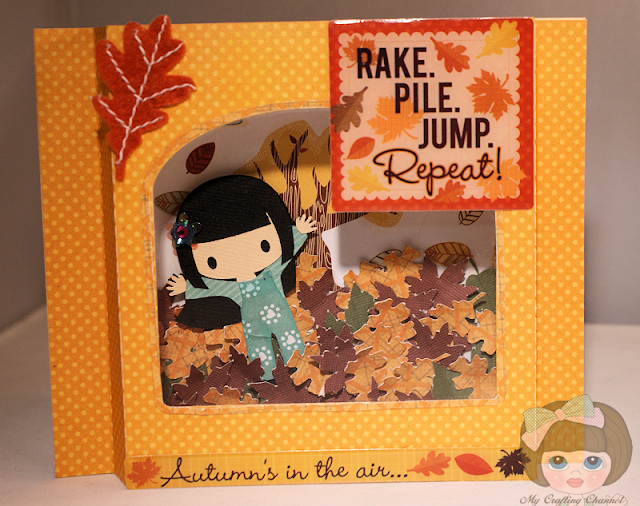 Hi Nana,this is too cute!I have never made a shadow box card.Love the DCWV paper.The little girl is so adorable.She reminds me of my sister.Love the idea of the leaves and sweet sentiments.One of my Favorites EVER!! !You Rock,Nana!!! Super cute!! It reminds me of my daughter. She loves to play with the leaves. too cute.love the colors and scene. This is fab! I love it! WOW! This is such a cool and different card, I love it! TFS and I just think I might have to give this one a try. This is soooo much fun! Makes me want to go jump in a pile of leaves! I just love this. This is just so precious. Why isn't the girl blinking???? Just kidding !!!! I love the way you did the shadow box idea, it brings back memories of "old school" crafting...LOL I've been MIA for a bit..lots going on but I do keep track of you! This is too cute. Love your little girl and all those leaves. That is adorable! I love your cute card! OH MY GOODNESS, Nana! This is soooo totally ADORABLE!! One of the cutest cards I have ever seen! Great job, my sweet friend. I hope you have a wonderful weekend! Thanks so much for stopping by to visit my blog and for the sweet comments about Ryelynn! OMG Nana!!! This is AWESOME!!! What a super fun card and those cuts are too cute!! TFS and Happy Friday my friend! Wow, this is super cute!! I love the way you made the leaves look like a big pile, very cool!! Wow now this is a stunning card. I love love the leaves and image used. So cute!!!! This is such a fun card. I love it Nana!! Great sentiment too. I just love this! Makes me want to go jump in a pile of leaves (when they fall)!